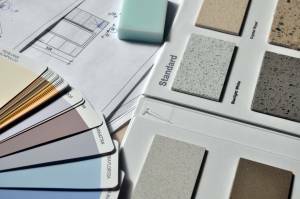 What’s Popular for Kitchen Counters, Backsplashes and Walls | Erin Carlyle: Stock up on things like engineered materials for kitchen remodels, as their popularity is increasing among consumers. Houzz’s recent survey among remodeling homeowners found that items like quartz countertops and tile backsplashes (especially white countertops and backsplashes) are top picks for kitchens. The Latest Looks in Tile, Stone and Flooring | Julie Sheer: Get a sneak peek at the tile, flooring, and countertop styles that will be attracting homeowners. At the recent International Surface Event in Las Vegas, brands were on hand to show off their latest offerings and innovations, from tiles inspired by centuries-old traditions to increasingly convincing reproductions of natural materials like wood and stone. Apps Are Driving In-Store Sales (Really) | Alan Wolf: Contrary to what you might believe, smartphone apps have been a real boon for brick and mortar stores. Rather than “show rooming”, consumers are leveraging apps to add to their in-store experience, especially by doing things like looking for coupons or double checking to see if a product is available in the store.